Bed and Breakfasts near Cartmel Racecourse for 1 night from Sat Apr 20, 2019 to Sun Apr 21, 2019 within 25 miles, in an Average Nightly price range of £1 to £200. Set on the banks of the River Lune, Holiday Inn Lancaster offers an indoor swimming pool, and sauna. Located just off Junction 34 of the M6 motorway, Lancaster's centre is a 30-minute riverside walk away. The modern rooms all feature a plasma-screen TV with satellite channels and Wi-Fi at an additional cost. Guests can also enjoy free tea and coffee in each air-conditioned room. Children aged 13 or under stay and eat free at this hotel. The restaurant serves a fresh, seasonal menu amongst elegant surroundings. Starbucks coffee is served in the lounge. At the Spirit Health Club, guests can exercise in the modern gym, or relax in the whirlpool spa bath. Free parking is provided, and the stunning scenery of the Lake District can be reached in 30 minutes on the M6 motorway. The panoramic views and beach of Morecambe Bay is only 5 miles away. 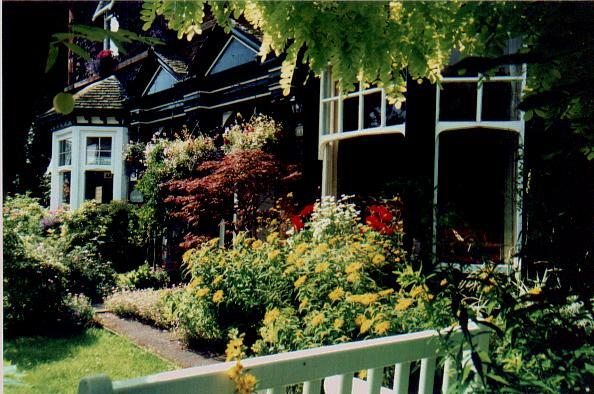 A warm & friendly welcome awaits you at the Ormsgill Inn. The Ormsgill Inn is ideally situated for tourists visiting the Lake District or one of the nature reserves on our doorstep. We are also well placed for those visiting the area on business being situated approximately 2 miles from the town centre on a regular bus route. br / br / br / br / We have 9 comfortable and spacious en-suite rooms with all amenities. A hearty breakfast is served between 6.30 and 9.30am to accommodate everyone s schedule. br / br / br / br / All our rooms come with comfortable en-suite facilities and room facilities including: Tea & coffee making facilities TV with freeview ironing facilities available by request hair-dryer by request fresh towels complimentary toiletries free WiFi internet access for guest use and prices fully inclusive of breakfast. br / br / br / br / We welcome all customers to our lovely in located in Barrow-in-furness/Cumbria. Located in Barrow-in-Furness, Ormsgill Inn features free WiFi access and free private parking. Guests can enjoy a drink at the on-site bar, as well as the pool table and darts board. Rooms come with a flat-screen TV and tea/coffee making facilities. Some units feature a seating area for your convenience. You will find a shared lounge at the property. Furness Abbey is 3.2 km from Ormsgill Inn. Walney Island is 3.4 km from the property, while the edge of the Lake District National Park is 17.5 km away. Offering spacious rooms with free Wi-Fi, this former Victorian country residence is set in its own extensive grounds. With lovely riverside scenery on the doorstep, guests are 5 minutes' drive from Lancaster. Bright rooms at the Scarthwaite Country House Hotel each have a TV, ironing facilities and free tea and coffee. Some rooms overlook the gardens, whilst all have a private bathroom with a hairdryer. Locally sourced produce is used to create home-made cuisine in the Conservatory Restaurant. The adjoining bar stocks local real ales and has a relaxing open fire. Scarthwaite Country House is only 1.5 miles from the M6, and a 10-minute drive from the scenery of the Lake District. Guests are also 20 minutes' car journey from the Forest of Bowland. Situated on the A6 close to both Preston and Lancaster. All 25 rooms are large recently decorated and complimented with tea and coffee facilities. FREE Wifi is available. 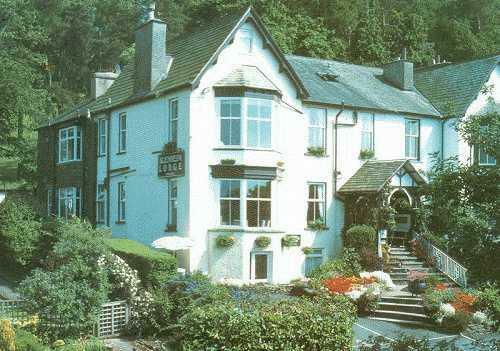 As well as a popular restaurant the hotel boasts its own pub serving cask ales. Extensively used for conferences and dinners holding up to 170 people the Crofters is fast becoming the place to be. The Crofters Hotel is centrally located in Lancashire within half an hour s travelling distance of most areas of the county. Situated between the cities of Lancaster and Preston the hotel is also in an excellent position for visitors wishing to explore Lancashire s coastal areas including Blackpool and Morecambe. br / br / br / br / Head out east and you could find yourselves within the Trough of Bowland an area of Outstanding Natural Beauty. Travel north and within an hours drive you could be in the heart of the Lake District National Park. The lively cities of Lancaster and Preston are a short drive from the hotel and offer great shopping restaurants caf� bars nightlife and culture. You ll be spoilt for choice with the multitude of amenities available. br / br / br / br / The Crofters Hotel is also situated within a 20-minute drive of the seaside resorts of Blackpool and Morecambe. The famous Pleasure Beach theme park and Golden Mile at Blackpool offers an action-packed and fun day out for all involved. Morecambe s recent renaissance is seeing new investment in the town and a number of festivals especially throughout the summer months ensuring the family will be kept well entertained. br / br / br / br / PLEASE NOTE: Check In is from 15:00 to 22:00. Check Out is by 11:00. We are a no smoking accommodation. Regrettably we cannot accept pets.